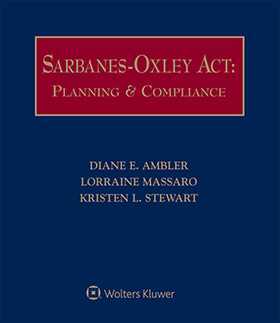 Most importantly, Sarbanes-Oxley Act: Planning & Compliance provides a veritable "blueprint" for an effective corporate compliance program. For each area covered, you'll find a summary of key subject matters to be addressed; step-by-step guidance on practical planning and implementation issues; recommended compliance procedures; and specific compliance actions to be taken by the company and its key officers. You'll also have access to best practices and policies designed to ensure good corporate governance, transparency and accurate financial reporting. Why settle for "information and explanation" when you can have step-by-step guidance and advice?